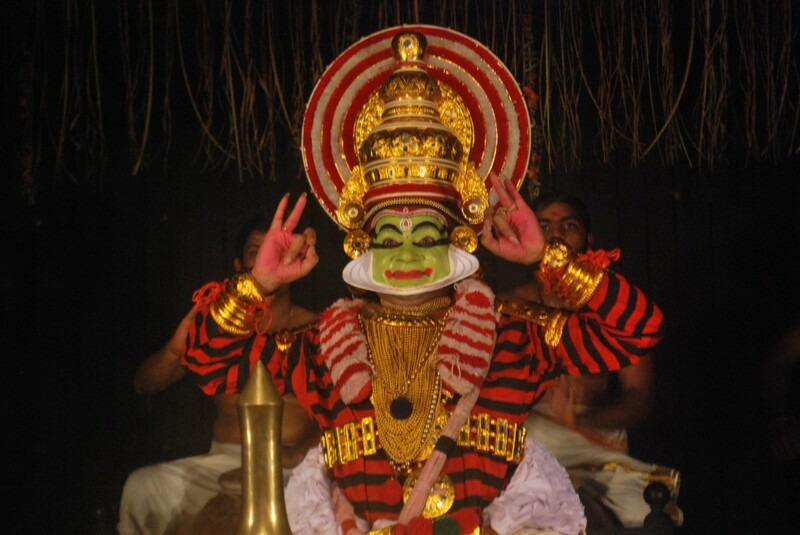 Recognised by UNESCO as one among the “Masterpieces of the Oral and Intangible Heritage of Humanity”, it is the only surviving Sanskrit theatre in the world. Extant over 2000 years, it is arguably the oldest existing classical theatre form in the entire world. 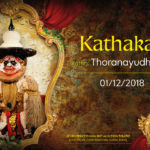 In Shailooshakam, the first Act of the play Subhadra Dhananjayam written by the Cheraman King Kulashekaran nearly ten centuries ago would be enacted across three days of the event. The first Act depicts the hero Arjuna setting out from his palace for an year of penance with his friend Kaundinya. 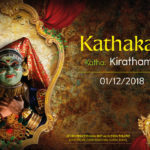 The heroic exploits of Arjuna who saves the heroine Subhadra from a demon and the comical countrast by Kaundinya forms for engrossing entertainment. The backdrop for the drama is that Arjuna happened to have witnessed a scene wherein Dharmaputhra and Panchali were together and as prescribed by Seer Narada, he had to go for an year’s pilgrimage. As a companion he takes with him his humorous friend, Kaundinya. During the journey a person called Gadan had narrated the features of Subhadra and to Arjuna and Arjuna instantaneously got attracted towards here. Hearing Gadan’s words, Arjuna proceeds to Narada. Kaundinya was unable to catch up with him and got separated. Thereafter Arjuna reaches near Sages’ abodes in a place called Prabhasatheertha, near Dwaraka and the entry of Arjuna to the premises is left out in this presentation. We would commence the drama with the entry of Kaundinya to the same place, totally exhausted in search of food. Thereafter, the meeting of Arjuna and Subhadra by destiny without each knowing the other’s identity, the subsequent vanishing of Subhadra and the friends making a plan abduct Subhadra are the remaining part of the first act of original play that would staged here. After separating from Arjuna, Kaundina becomes helpless and devoid of food. He enters in the most pitiable state in search of food to an Ashramam. He, unable to find anyone in the sages’ abodes, which normally is occupied with people, however, attributes his present state to his deeds (Karma) and finds a water collection. He approaches the lake. Arjuna accidentally sees Kaundinya walking in search of water towards a mirage. Arjuna stops him and make him realize that he has been fooled by the hot sun-rays. During their subsequent conversation, they see a demon abducting a maiden through the sky. Arjuna loads the amber arrow (Agneya Astra) and terrifies the demons. The latter releases the lady and runs away. The maiden falls down and Arjuna helps her land on the ground safely. Both Arjuna and the Lady see each other and they instantly get attracted to each other. These are the contents of the first day’s performance. The first comical presentation of Kaundinya, Arjuna narrating the features of a hunge Banyan Tree, Arjuna’s enactment of the verse explaining that Kaudinya has been deceived by sun-rays, the warning Arjuna giving to the demon carrying the lady by detailed interpretation of another verse are the main features of the first day’s presentation. The second day commences as continuation of the first day, that is Arjuna and the maiden (Subhadra), seeing each other, becomes influenced by the arrows of the Lord of Love. Their mutual love gradually peaks up and the maiden suddenly disappears to the disappointment of Arjuna. Arjuna and Kaundinya engage in a conversation at the end of which, Kaundinya asks his friend to explain the gorgeous features of the woman who just vanished, whom Kaundinya could have a clear look at. The day’s performance comes to an end with Arjuna preparing to answer Kaundinya’s question. The important enactments are: Subhadra, apeaking aside, explaining the circumstances that led to her abduction, presenting female entertainment such as bowling, tossing, drumming etc, Arjuna wondering reciting a verse to himself, who this beauty could be, and Kaundinya’s humorous words. 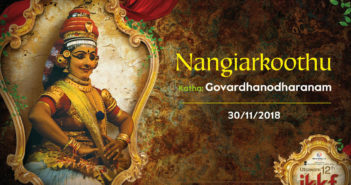 In the third day, the act commences with Arjuna replying to the query of Kaundinya. He says that he cannot explain each features of the girl, but could vouch that in case the Lord of Creation (Brahma) wishes to create another lady like her, He would have to come and beg to her all the female qualities of gorgeousness. During the follosing concersation between Arjuna and Kaundinya, the later finds a pair of brassieres and mistakes it for a snake. Arjuna examines the special garment and finds his 10 names written on it. He presumes that the maiden just vanished might be inhabitant of Dwaraka. The friends make a plan to win over Subhadra inter-alia abducting her after defeating Yadavas with the permission of Krishna. In the end, they find the sun setting and with the narration of the features of sun-set, the act comes to an end as prescribed in the original play. Arjuna’s version of Brahma having to beg to the maiden for female qualities, Kaundinya’s anti-quatrain explaining the features of his heroine, Kaundinya thinking that Arjuna, who was not replying to the former’s question, was dead, he himself deciding to end life and bidding farewell to all the food items and the final sun-set narration are the main attractions of the third day.